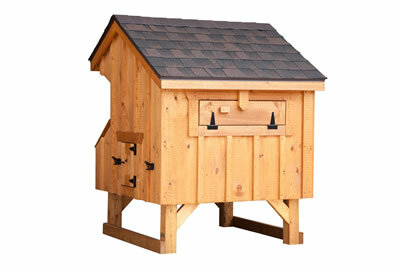 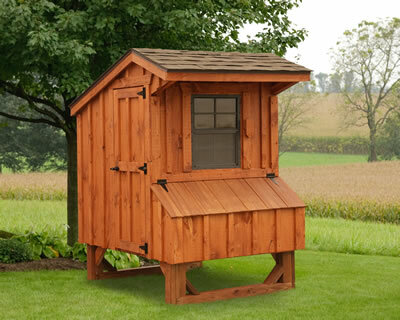 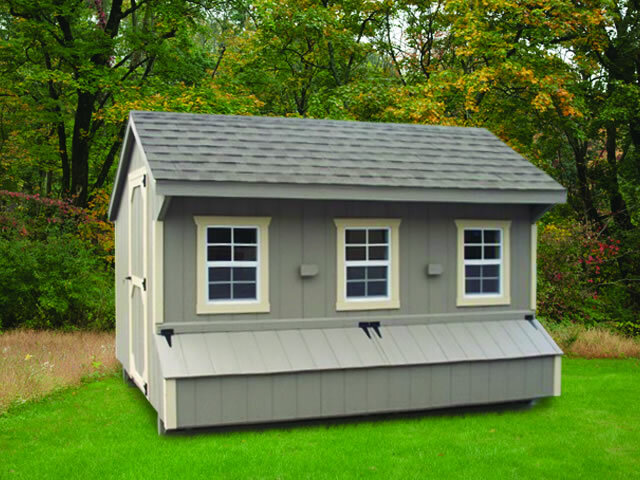 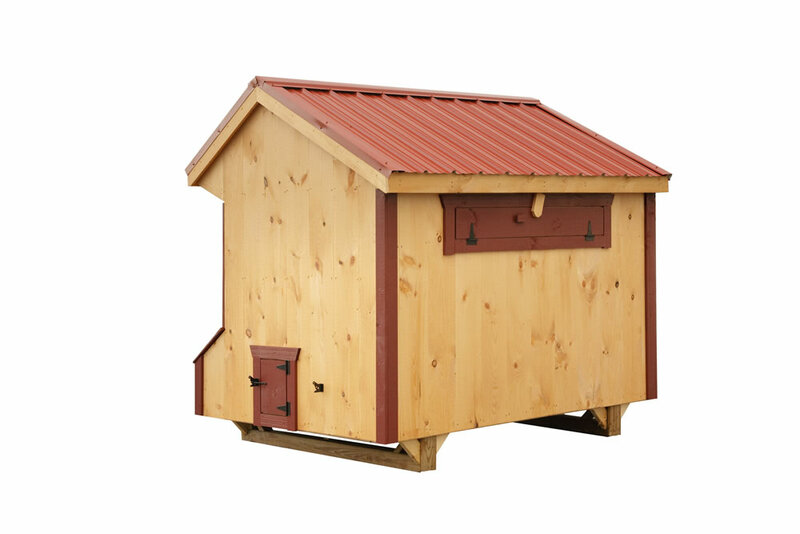 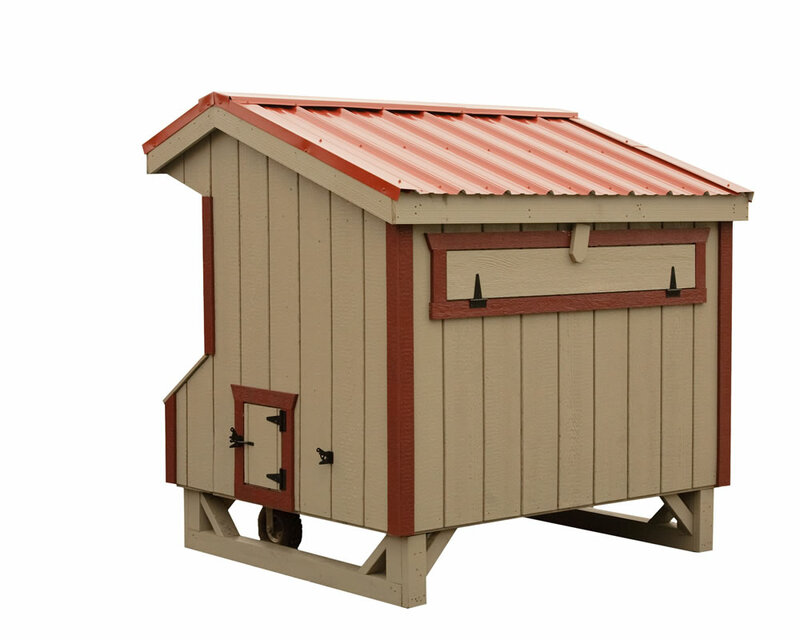 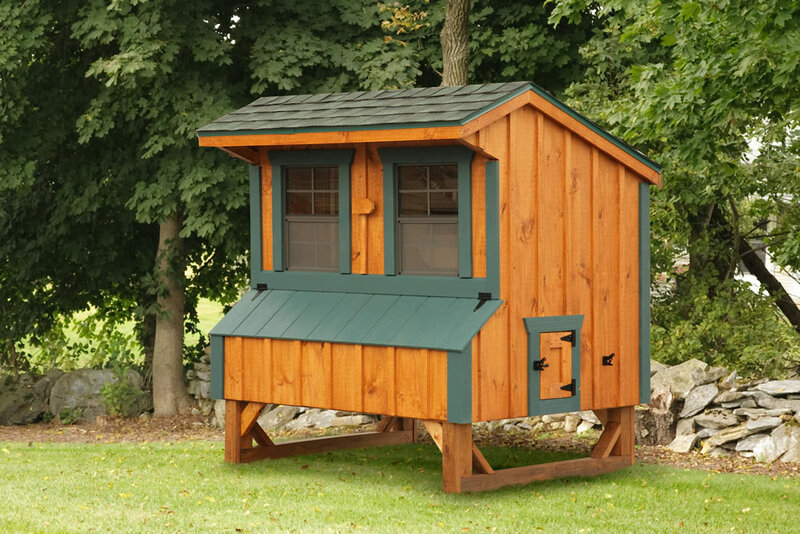 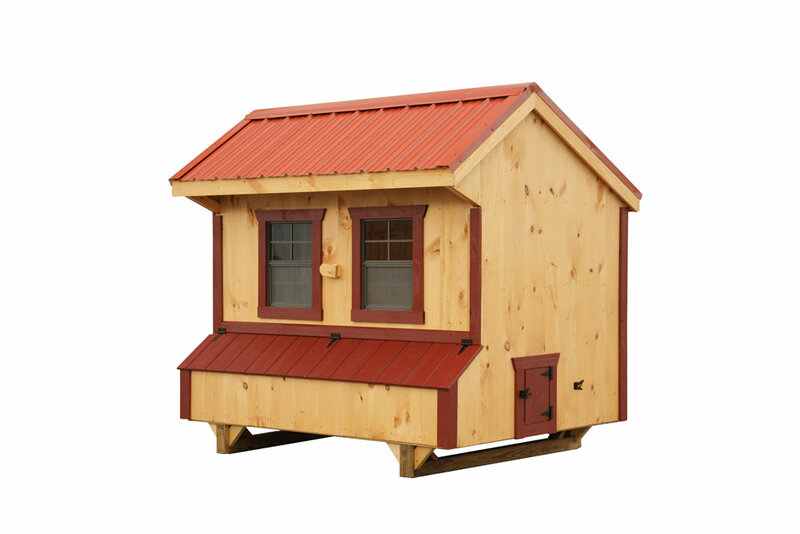 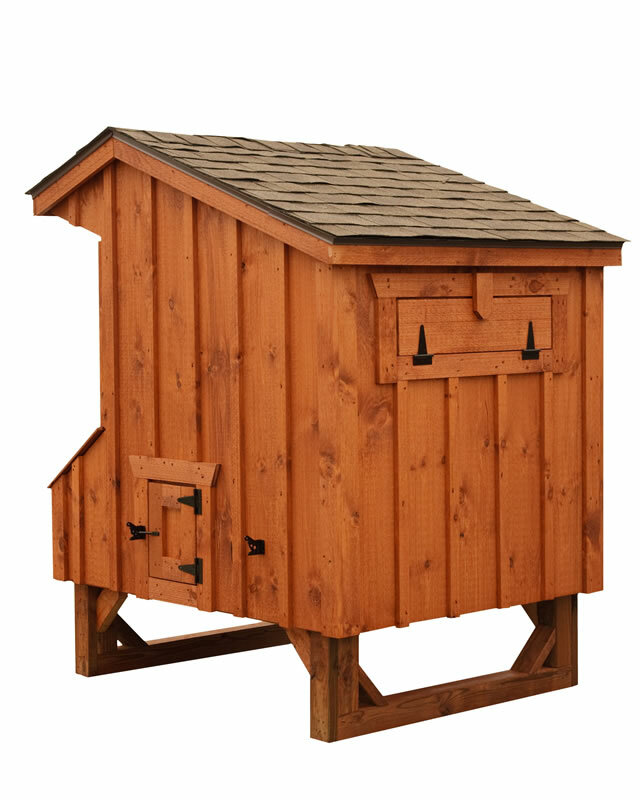 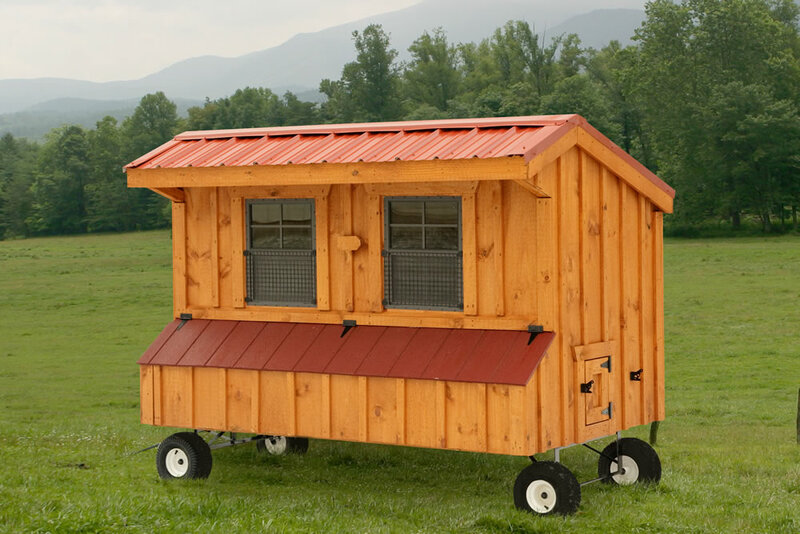 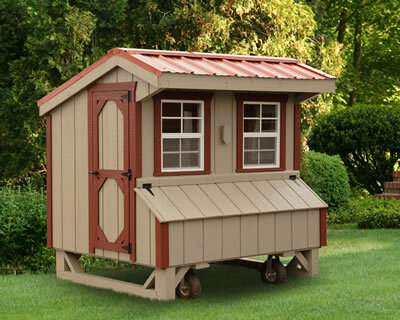 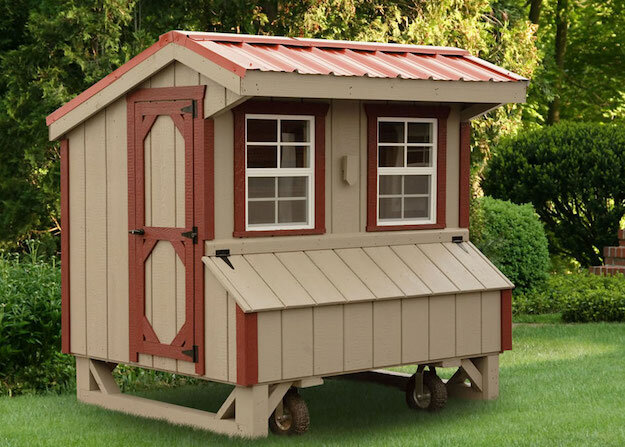 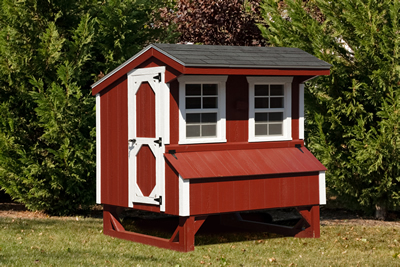 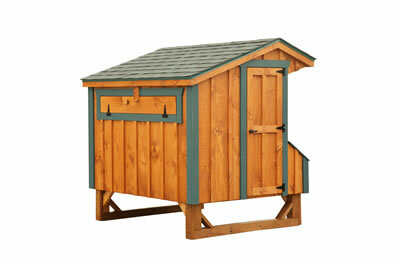 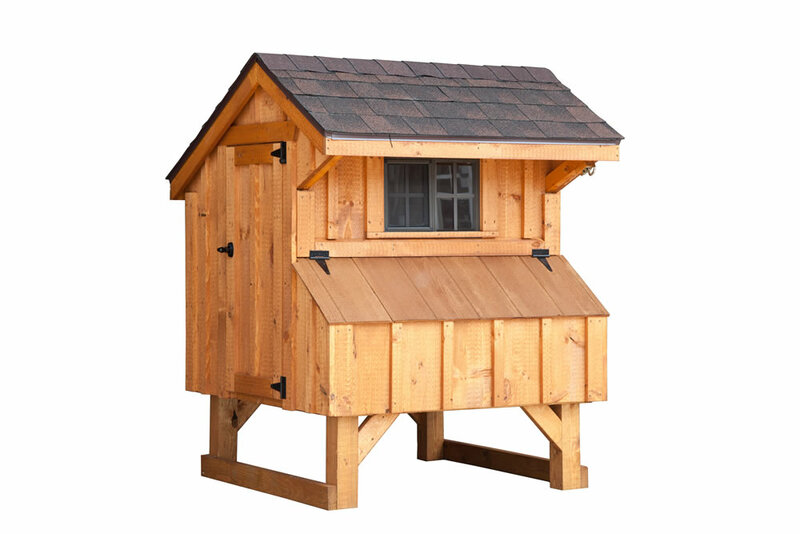 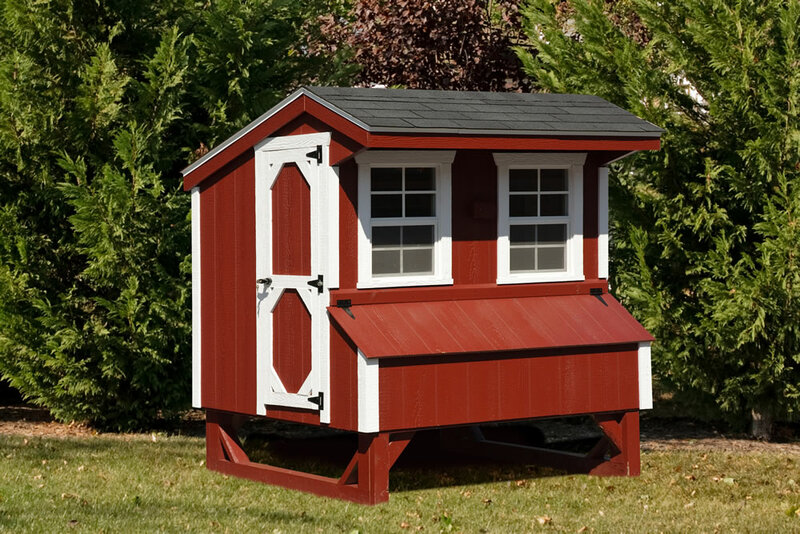 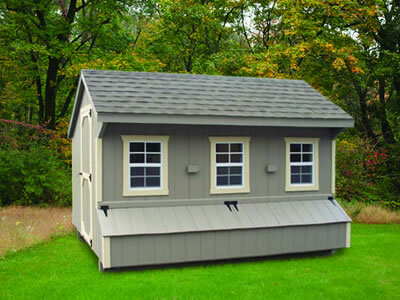 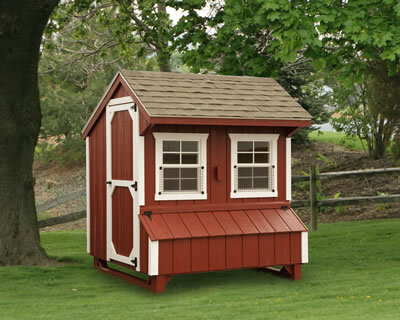 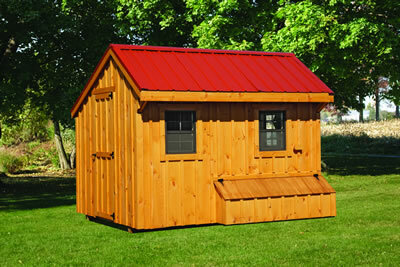 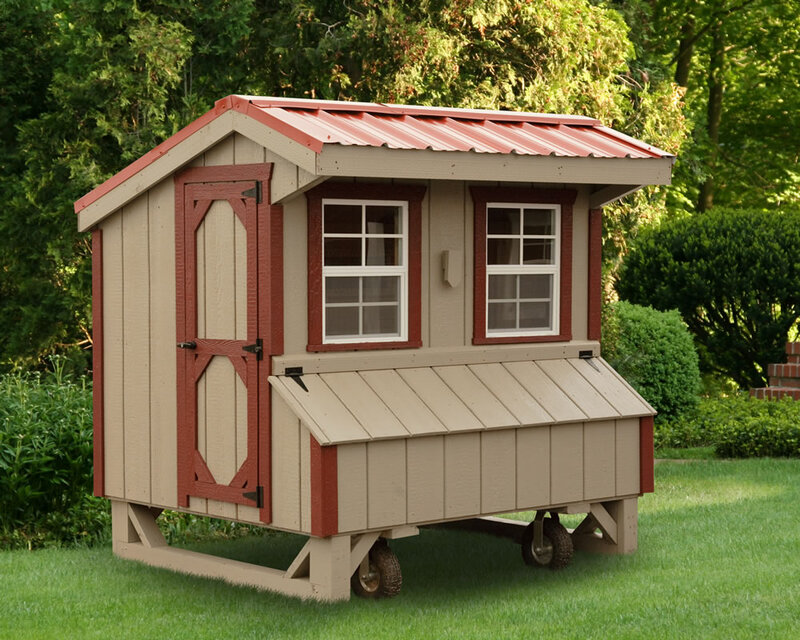 The Quaker henhouse series has a distinctive roof line overhang that is inspired by century old barn styles. This style maximizes head space in the interior. 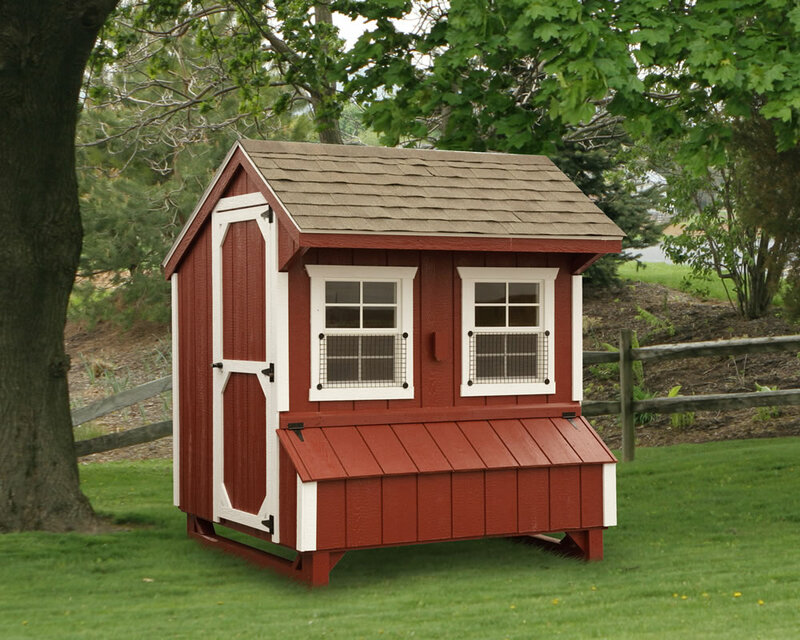 Painted Red, with White Trim, Black Shingles. 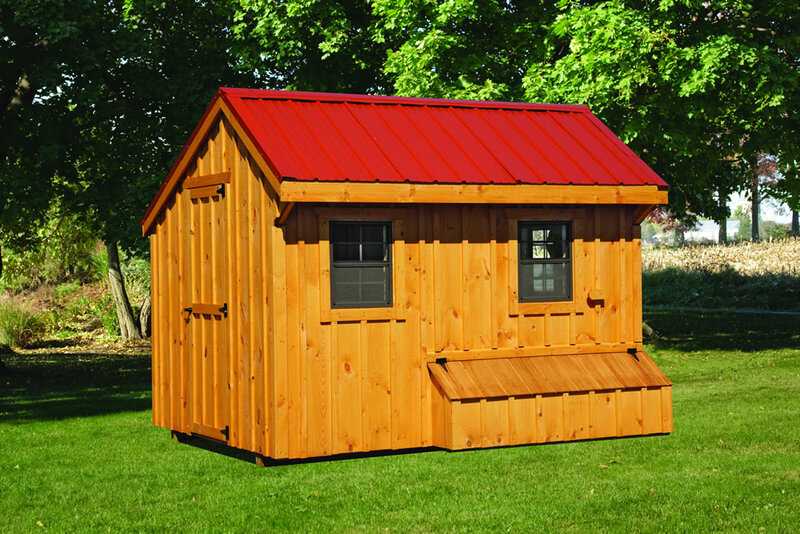 Painted Red, with White Trim, Weathered Gray Shingles.